The aim of this study is to report our experiences on managing large lumbar disc herniations with several symptoms by surgery with transforaminal lumbar interbody fusion (TLIF) and to shed light for spine surgeons about TLIF surgery. We retrospectively evaluated our database of patients with various lumbar spine pathologies who underwent TLIF surgery from 2014 to 2017. We separated 18 patients who had been operated on for extruded disc herniation, which causes severe pain and radicular symptoms. The pain was quantified by visual analog scores (VAS). The disability status were pre-operatively and post-operatively evaluated by the Oswestry Disability Index (ODI). We evaluated the patients for at least two years. Interbody fusion was detected by routine radiographs at six, 12, and 24 months after surgery. 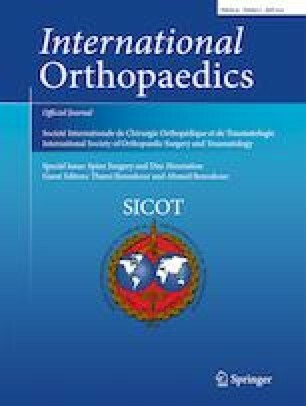 An ODI outcomes analysis demonstrated a statistically significant improvement in the six and 24-month mean scores compared with the pre-operative scores on the same scales. Patients’ mobility improved significantly after surgery, as indicated by the decrease in the Oswestry Disability Index from 72 to 23 over two years (p < 0.001). Pain rapidly decreased in all patients and continued to decrease at the time of the latest follow-up. The mean pre-operative VAS scores for pain was 8.8; it had improved to 2.4 after surgery (p < 0.05). Within the follow-up period of two years, the ascertained mean VAS declined from 8.8 to 1.4 (p < 0.001). The average disc space height at the herniated levels was fairly well maintained. No patient had evidence of implant failure. Interbody fusion was graded as definitely solid in 100% of cases two years post-operatively. One patient displayed a superficial wound infection. Following appropriate debridement and antibiotics, the wound healed without sequelae. No major complications were observed, including permanent neurological deficit, pulmonary embolism, peri-operative cardiac event, or death. The findings of our study and those in the literature showed that primary herniated disc patients with radicular and chronic low back pain, degenerative changes, bi-radicular symptoms, and instability are required to have fusion after a discectomy. Being a heavy-duty worker is also a criterion for fusion surgery. TLIF is performed by a unilateral approach preserving the interlaminar surface on the contralateral side, which can be used as a site for additional fusion. As an effective results TLIF procedure should be chosen for fusion surgery.